Oculus is shutting down Story Studio, its internal virtual reality cinematic arm responsible for a number of renowned short films. Just as important, Story Studio was Oculus' effort to prove VR can be a compelling form of storytelling, not only a new way to game. "After careful consideration, we've decided to shift our focus away from internal content creation to support more external production," wrote Oculus VP of content Jason Rubin in a blog post. "As part of that shift, we'll be winding down Story Studio." 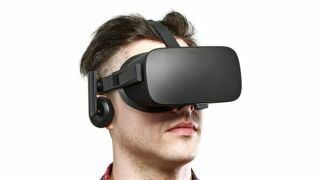 Oculus, which is owned by Facebook, will focus on supporting and funding third-party content creators, turning its attention internally to the "unsolved problems in AR and VR hardware and software." VR films will continue to be offered in the Oculus Store. "We're still absolutely committed to growing the VR film and creative content ecosystem," Rubin assured. As part of that effort, the Oculus Rift maker is dedicating $50 million from a $250 million fund to non-gaming, experiential VR content development. Oculus will also support creators through networking opportunities, tips and tutorials, best practices, and other resources. Story Studio's three films are Lost, Dear Angelica, and Henry, which won an Emmy. It also developed Quill, a virtual reality painting app originally created for Dear Angelica. The movie, which illustrates its scenes in real-time, was shown at the 2017 Sundance Film Festival. Oculus tells us the decision to close Story Studio is not part of the company's recent restructure. In December, CEO Brenden Iribe stepped down to head up the company's PC VR efforts. Oculus founder Palmer Luckey also left the company in late March. The shutdown is effective today, and Story Studio employees will reportedly have the option of applying for new jobs within Facebook or pursuing employment elsewhere. Virtual reality is often knocked for a lack of content, and though the ecosystem is getting stronger, without Story Studio, the creative community will no longer have one of the most successful VR film studios to date leading the way. With a high cost to entry in pricey headsets and expensive PC builds, virtual reality needs all the good content it can get to convince shoppers it's worth the investment. Story Studio's closure may not have a huge impact on the ecosystem overall, but it puts more pressure on games, third-party content developers and social features, such as Facebook's recently announced Spaces, to keep VR moving forward. Not just that, but actually growing.